Yo Yo Café Bar01274 727287work CafeSituated in the heart of Little Germany, Yo Yo Cafe Bar is a vibrant and modern eatery serving a range of freshly made sandwiches, paninis and wraps along with a fantastic selection of hot and cold drinks. A fully functioning continental style café, we endeavour to deliver the best quality product, be it a simple Espresso or a freshly made bacon & brie panini. We have selected the best ingredients from quality suppliers to produce breakfasts and lunches throughout the week. We also are fully licensed offering both wine and bottled beer. 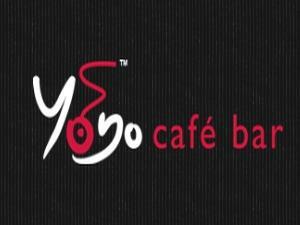 Situated in the heart of Little Germany, Yo Yo Cafe Bar is a vibrant and modern eatery serving a range of freshly made sandwiches, paninis and wraps along with a fantastic selection of hot and cold drinks.